Arnold Ralph Duggins, 89, of 3755 U.S. Hwy. 64 E, Asheboro, died Wednesday, March 27, 2019 at his residence. Memorial Services, 2 PM, Sunday, March 31, 2019, at Cedar Falls United Methodist Church, Asheboro. Officiating, Rev. Mike Lee, Rev. Terri Howard. 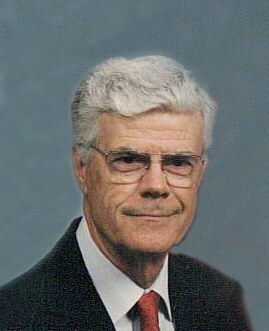 Ralph was a native of Randolph County and a former employee of the North Carolina Department of Transportation. He was a member of Cedar Falls United Methodist Church, also attended the Community Bible Study Group and a veteran of the United States Army. Ralph was preceded in death by his parents, Raymond and Gertrude Luther Duggins. Survivors: wife, Martha Alice Duggins, of the home, daughter, Donna Carol Duggins, of the home, son, Daniel Ralph Duggins, and wife, Rene, of Sanford, grandchildren, Brad Duggins, of Sanford, Phillip Duggins, and wife, Whitney, of Goldston, great-grandchildren, Bronxton Duggins, Brogan Duggins, several nieces and nephews and special friends, Jeff Allen and Gwyn Sands. Memorials may be made to Cedar Falls United Methodist Church, 1119 Loflin Pond Rd., Asheboro, NC 27203.